An exquisite portfolio and guide to America's most popular national park. Yellowstone National Park welcomes three million visitors every year. Most are drawn to its eye-popping hydrothermal features, including the world-famous Old Faithful. The region famously sits over a continental "hot spot," a chamber of molten magma several miles below the surface that heats the groundwater and powers the park's geysers, hot springs, mud pots and steam vents. A network of paved roads and boardwalks offers visitors easy access to the kaleidoscopic colors and dramatic eruptions of some of the park's impressive waterworks. However, few tourists experience the stunning all-season splendor of Yellowstone's backcountry, which is home to wonders that, on their own, would have easily justified the park's creation. 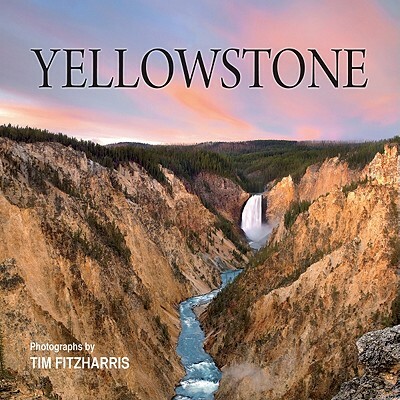 This book captures the perennial delights of Yellowstone's most popular features, but it also introduces readers to the park's vast swaths of grasslands, wetlands, rivers, waterfalls, valleys and mountain peaks, its richly diverse plant life and its free-ranging wildlife, including the newly reintroduced wolves. Photographs and books by Tim Fitzharris are universally praised for their striking beauty, which goes beyond postcard clich . This veteran photographer is well-known for his patience and determination. He will wait for hours and return to a site over many days to capture the best light. Yellowstone National Park reflects that singular vision. Photographs and books by Tim Fitzharris are universally praised for their striking beauty, which goes beyond postcard cliche. This veteran photographer is well-known for his patience and determination. He will wait for hours and return to a site over many days to capture the best light. Yellowstone National Park reflects that singular vision. Tracy C. Read writes about nature and the environment. She is the author of the six titles in the Exploring the World of . . . series.